Recently, I’ve been thinking a lot on marriage. Everyone always says marriage is hard, and it definitely can be. When I was younger I always assumed that hard was a bad thing. Hard was equated with bad, while easy was equated with good. In actuality the hard parts of marriage, or rather the sanctifying and edifying parts have been some of the greatest. Overall, living my life with Ray Hancock came easy, but that’s not to say there weren’t any adjustments. I had to forego my habits and wants and put him before myself, which is still hard for me. BUT, I get to live life with someone who passionately loves the lost, is strong and determined, encouraging, who isn’t a quitter and who is cautious with decision making (none of which really apply to me). My life was awesome before Ray and I were married and despite being super poor, 3 broken cars in 1 year, job loss and a tree breaking our house, my life is even better with him. 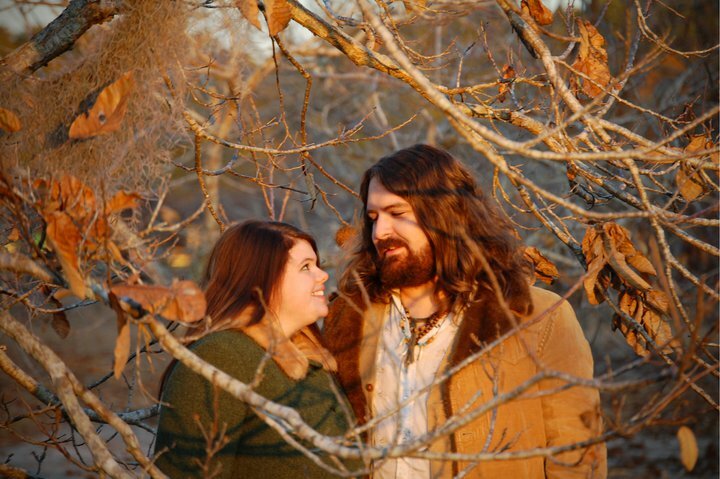 This entry was posted in love and tagged love, marriage on November 26, 2013 by allison. This entry was posted in Life on November 24, 2013 by Ray. 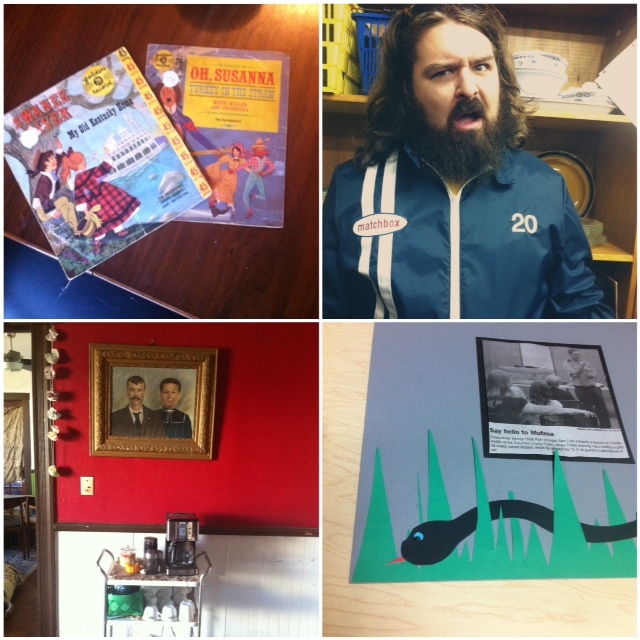 Ray and I have both been thrifting since we were in high school. Without any real understanding of retro or vintage, we both just bought old things (and sometimes dirty and broken, in Ray’s case) that we loved. All I knew was that I was into “grandma jewelry” and weird old tshirts. Fast forward 12 years and here we are today, still thrifting, but with a few more notches on our belts. Here are the Alliray thrifting rules! 1. Know what you love! 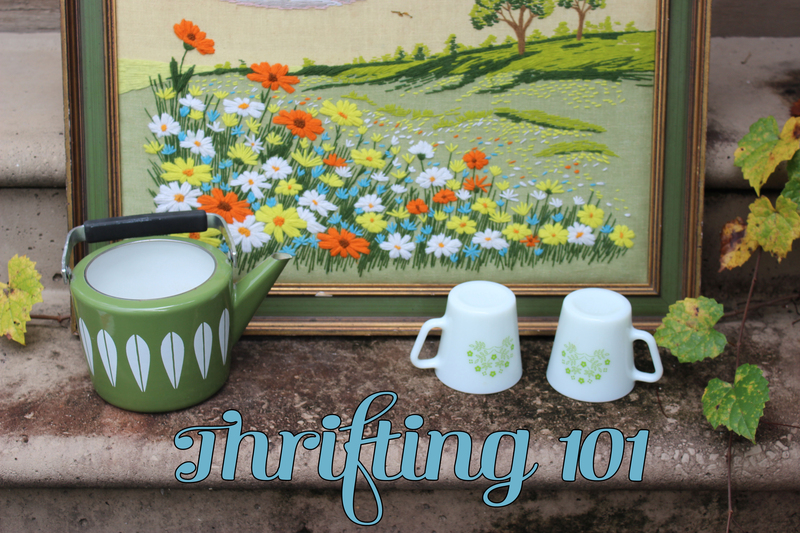 This is the most important rule we’ve learned while thrifting and vintage shopping. Know your style, taste and what you actually love, not what happens to be trendy at the time. We know from experience that this takes time. In my late teens I made a lot of lists on what I love in design, architecture, music, color palettes, etc. 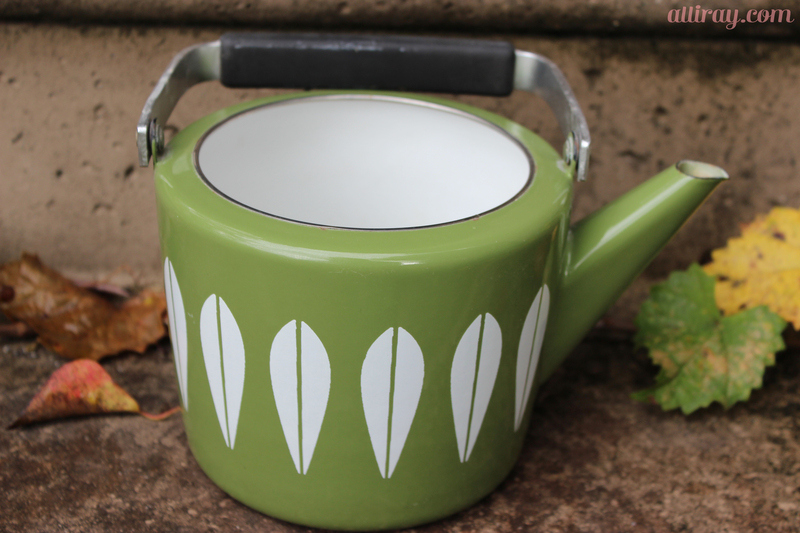 After doing this for a while I saw patterns develop and from there I could see what I consistently loved more clearly. 2. Be selective. 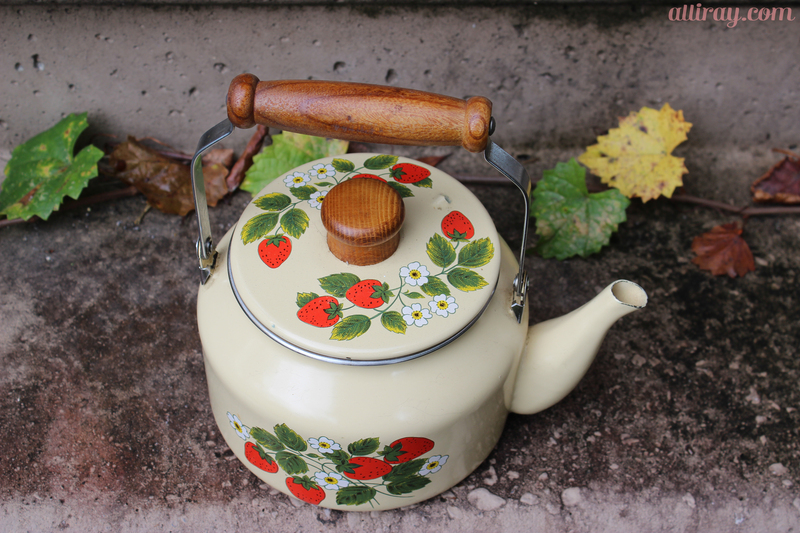 If you’re thrifting regularly, it can be easy to acquire lots of so-so vintage pieces. Look for special pieces and if a piece doesn’t fit or is damaged (or you’re just not SUPER excited about it), don’t be afraid to leave it behind. 3. Know what you want to pay, and only pay that! Predetermine what you want to pay for something before you start looking for it. If you don’t, you will almost always overpay. If you want to spend $20 on something, don’t spend $30. It seems simple, but when you find something you like, it’s a little more difficult. Over time you’ll know what you should spend on things and how much things are worth. Don’t be afraid to ask for a better price, especially if an item has any defects (stains, missing pieces, missing buttons, rips, water spots). Most thrift stores will give discounts for defects. 4. When shopping for clothes look through all sizes, even children’s. Keep in mind that brands vary in shapes and sizes. Also, thrift store clothing has a tendency to be disorganized, so look through every section so you don’t miss a gem! 5. Have a running list of wants and needs. As we’ve said before, thrift stores have a tendency to be disorganized and overwhelming. Having an idea of what you’re hunting for can definitely help your search. 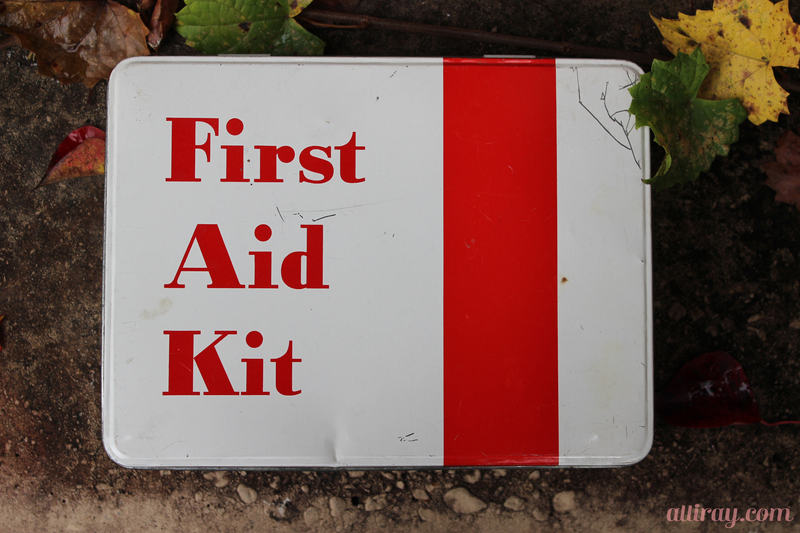 It can also be helpful to have a list of items you already own. For example, say you have a large Fire King collection. Having a list of the pieces you already have in your collection is helpful so you don’t repurchase them. 6. There will always be another good deal. Sometimes people get nervous because they don’t think they’ll find another ______ fill in the blank, so they panic and pay whatever ridiculous price the person is asking. Or a person may see something they don’t need, but it’s a good price, so they buy it anyway… and then 4 months down the road they are a legit hoarder. So, this rule is very important. 7.. Keep trying! Thrifting can be hard work, but don’t give up! We didn’t have a dining room table for a year and a half because we were looking for a mid century modern table and didn’t want to pay over $300 for it. Guess what? We found one within our budget and couldn’t love it more! We’ve had several people ask us about thrift shopping recently, so we hope these guidelines are helpful! Happy thrifting! 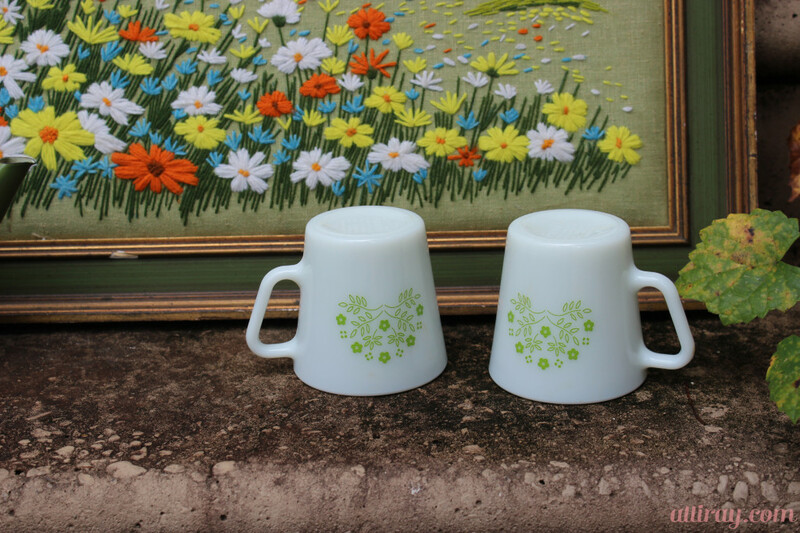 This entry was posted in Life, vintage and tagged thrift shopping, thrifting on November 22, 2013 by allison. 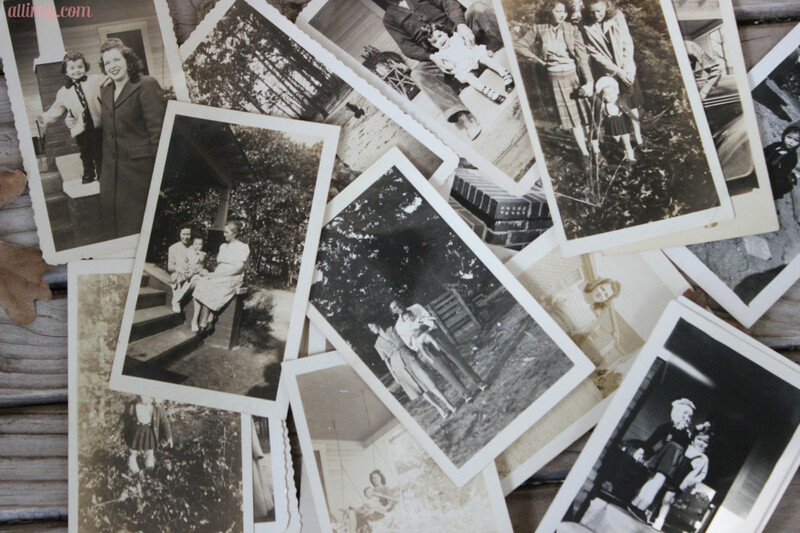 My mother recently went though a box of old family photos and I cannot even express how much I love them. 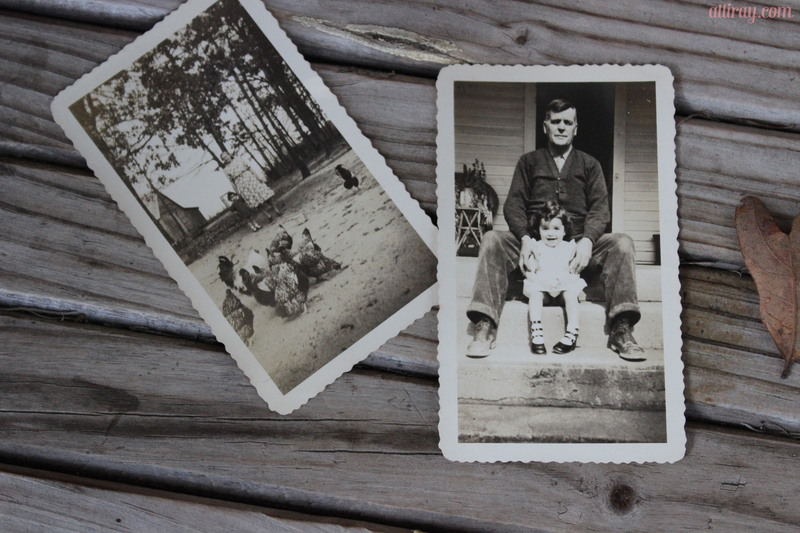 I was never able to meet my great grandparents, so I love having these captured memories. 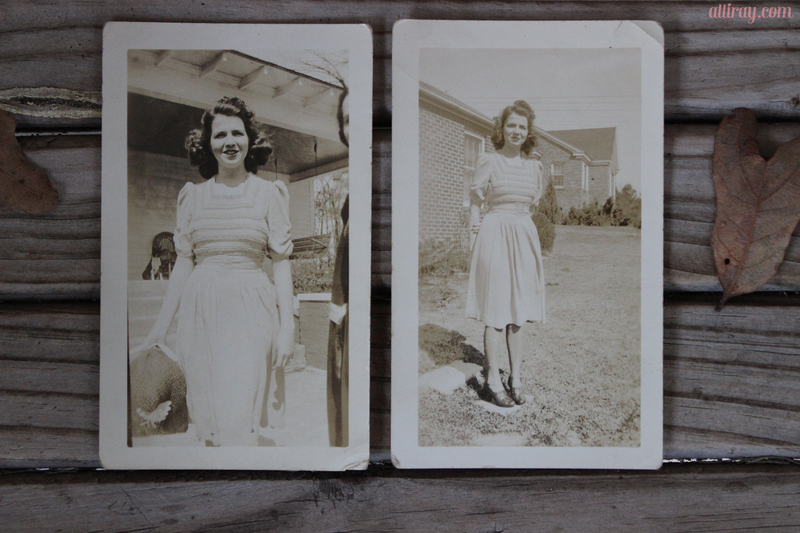 These are of my Aunt Barry with my great grandmother and my great grandfather (and chickens. 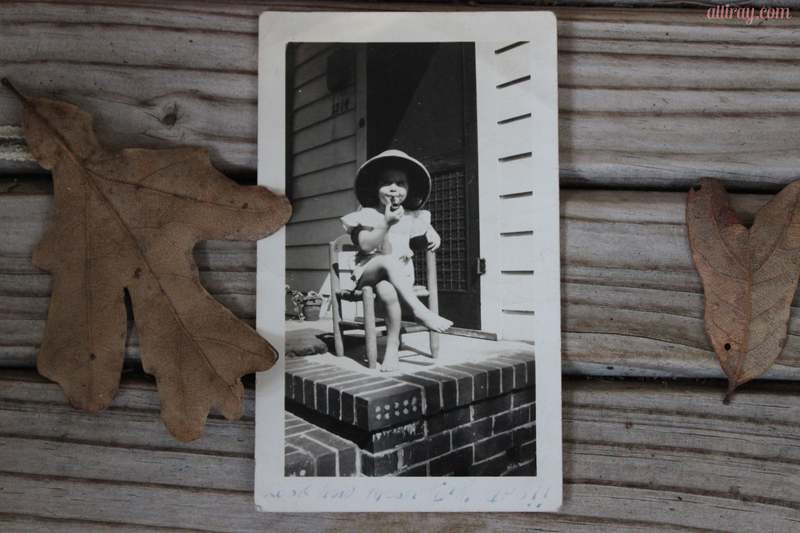 My Aunt Barry again, as a child wearing a pith helmet and “smoking” a pipe. Attitude for days! 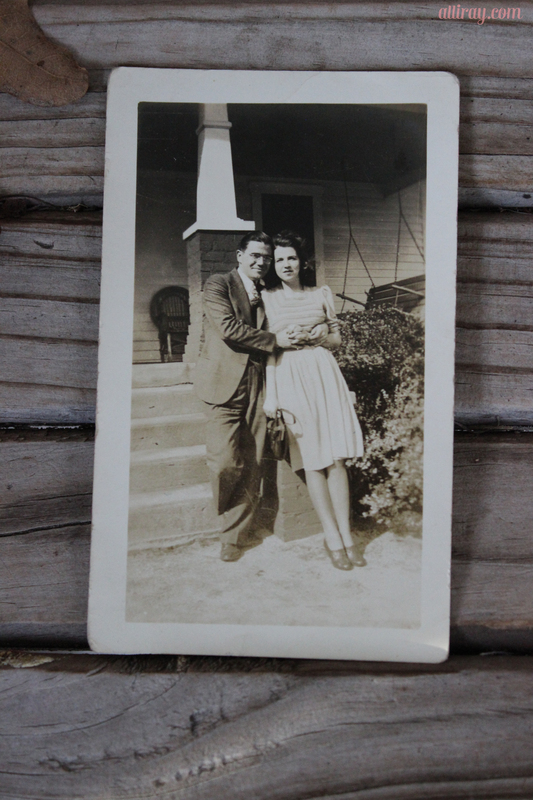 My Nonnie and Papa in the 40’s. I love this picture soooo much! A few others of my Nonnie. Wasn’t she beautiful? 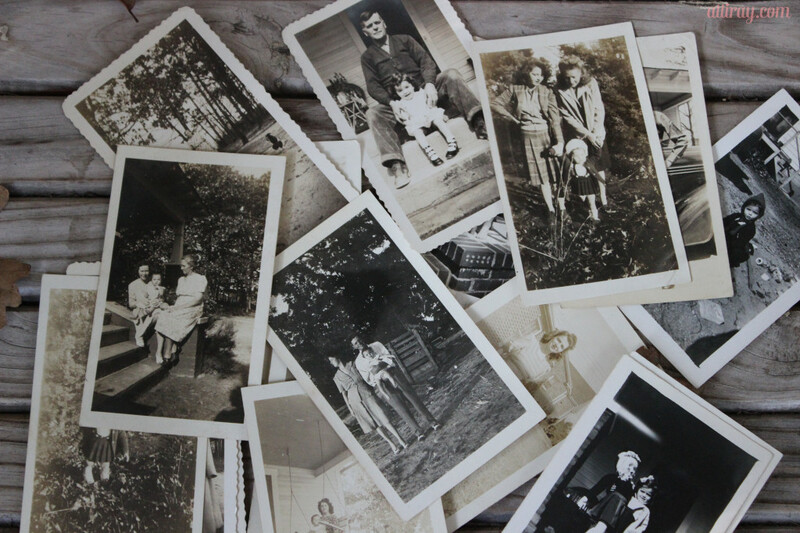 I love old photos so much and am thinking about a gallery wall comprised of them. Or maybe having giant copies made ala this project. What do you think? This entry was posted in Life and tagged family, photos on November 20, 2013 by allison. 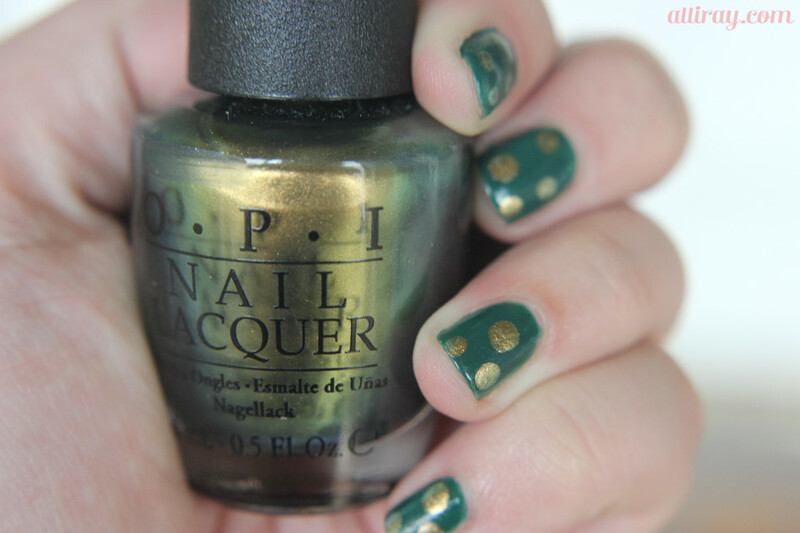 I love this polish by OPI called Just Spotted the Lizard BUT its not the easiest color to wear. 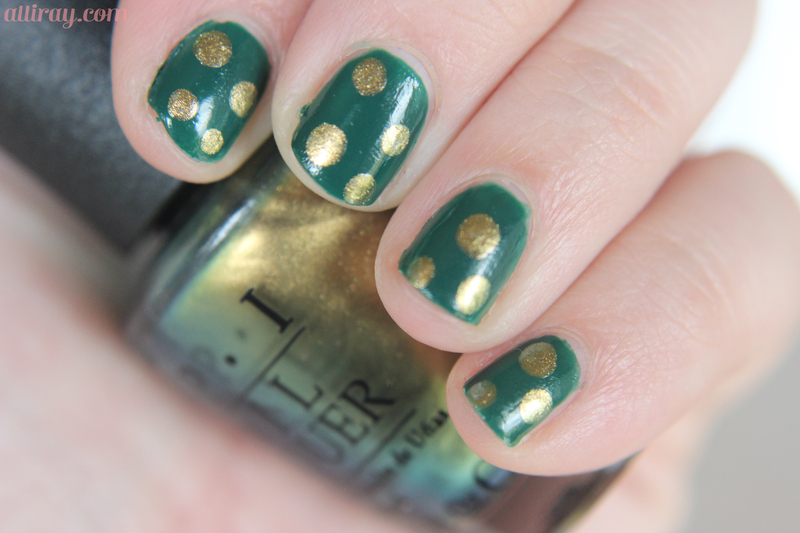 It’s a gold and green duo-chrome color and when worn on it’s own it can make my skin look almost sickly. I think the color looks much better when paired with this dark emerald! 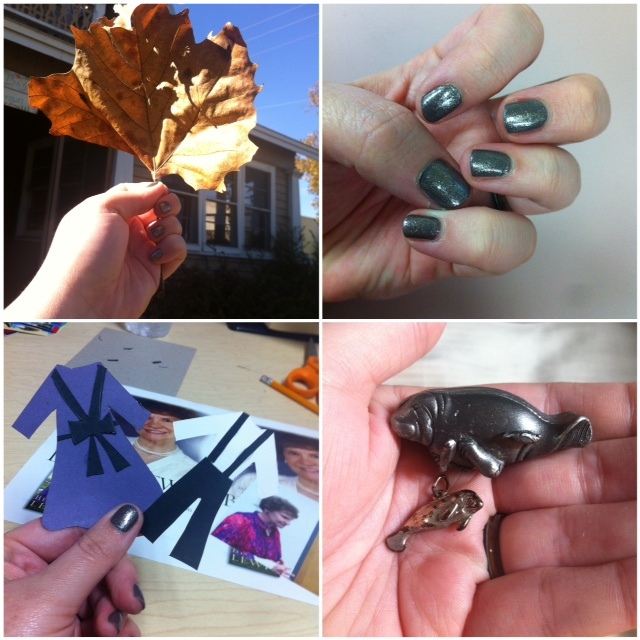 This entry was posted in nails and tagged nail polish, nails, OPI on November 18, 2013 by allison.